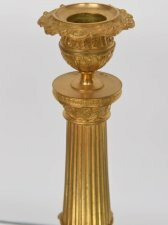 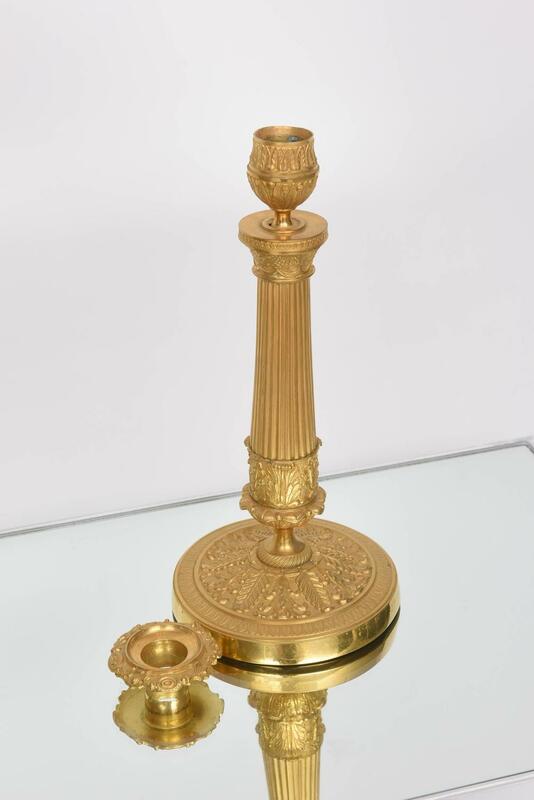 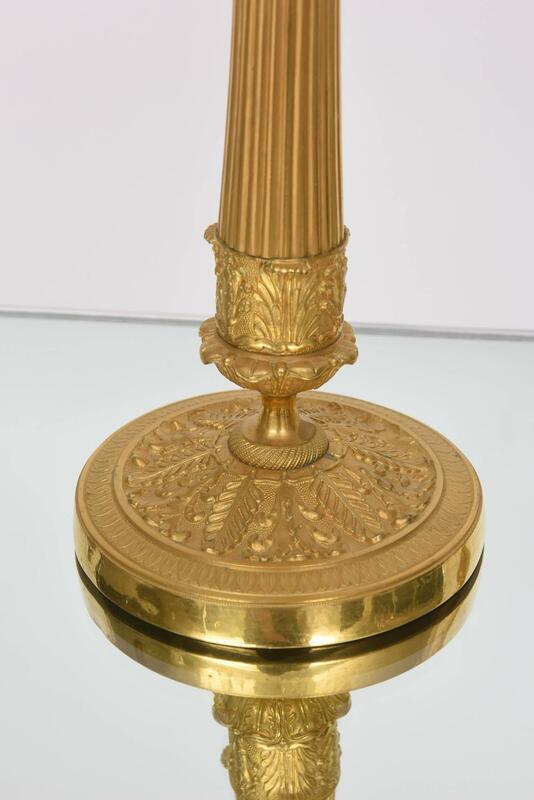 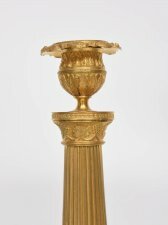 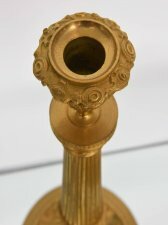 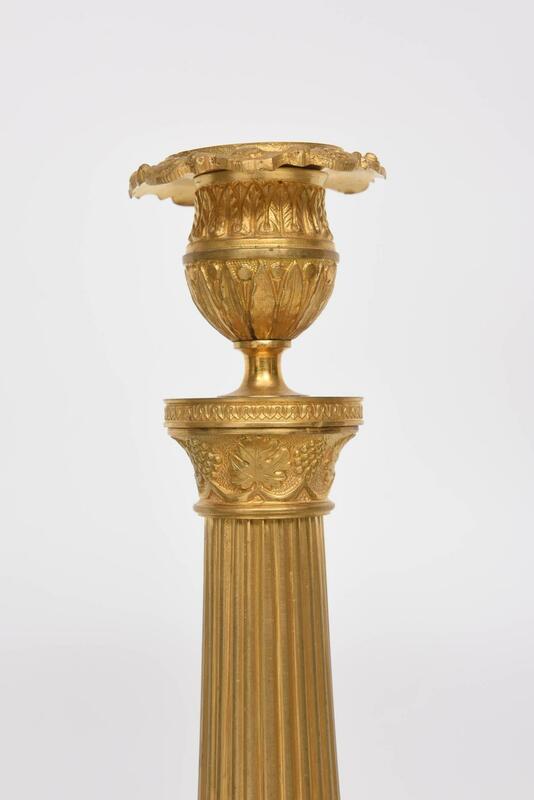 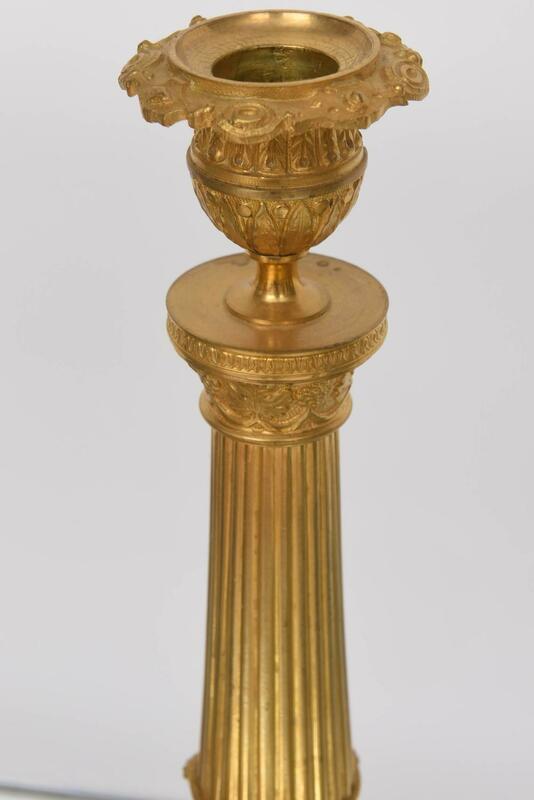 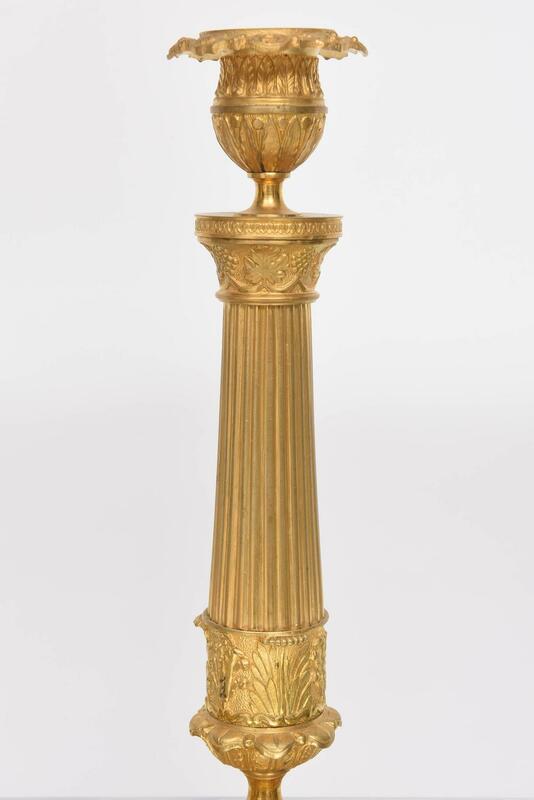 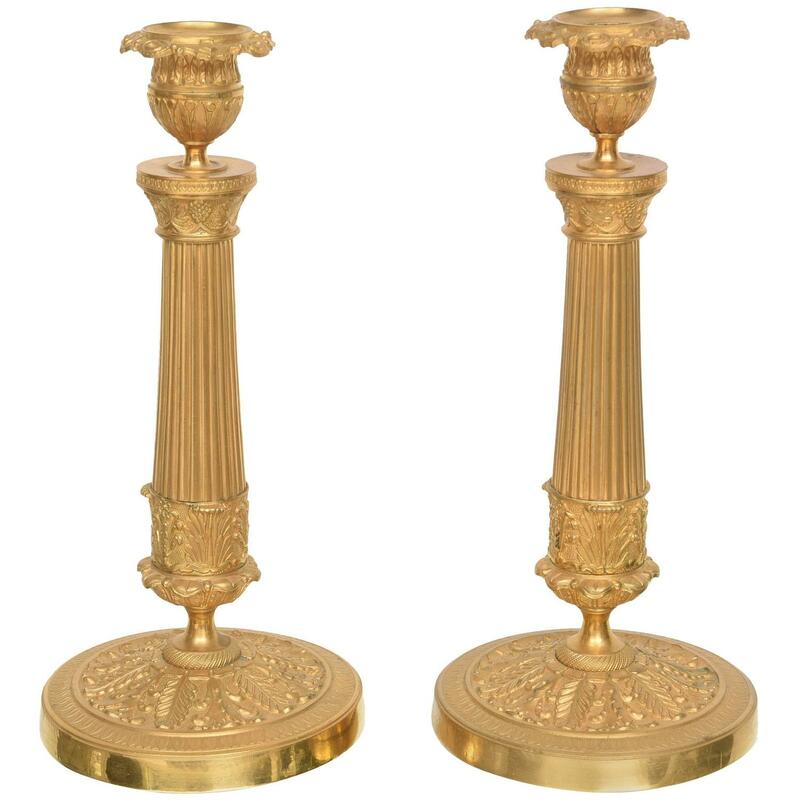 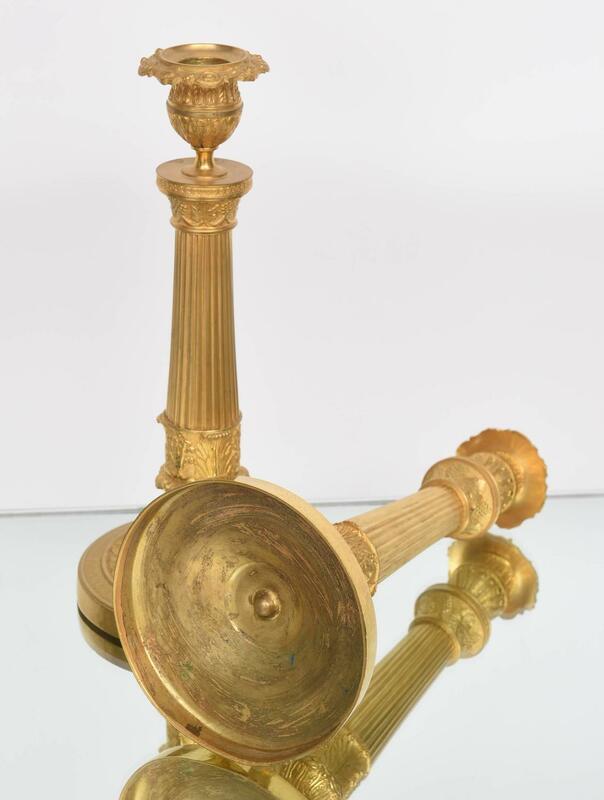 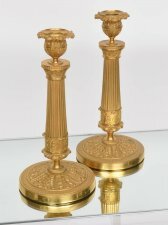 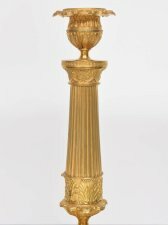 This handsome pair of Louis XVI style gilt brass candle sticks date from the late 19th century. 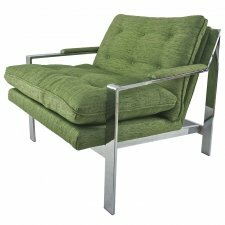 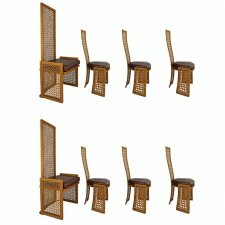 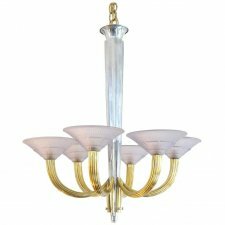 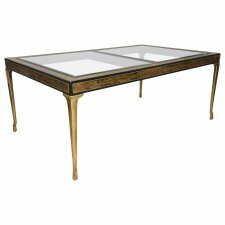 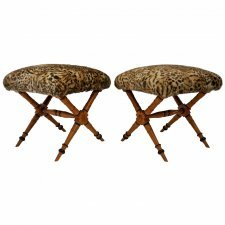 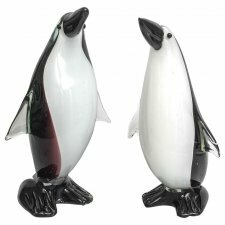 They have the classic motifs of acanthus leaves, fluted columns and stylized palmetto fronds. 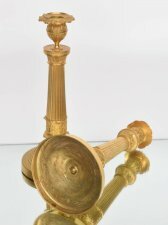 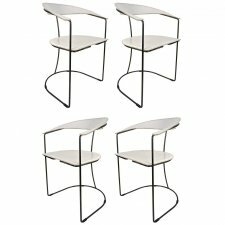 The bobech are removable for ease of cleaning.